Brochures for Lucky Book Club Issue 1 have been distributed to the classrooms. The closing date is the 27th of February 2019. Please have your orders in on time as no late orders will be accepted. 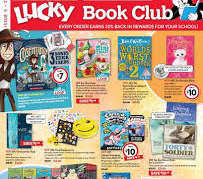 You may order online at scholastic.co.nz/LOOP or return the order form with cash or cheque payment in an envelope to the classroom teacher. Please ensure the name and room number is on the top of the form. All orders will be given to the students to take home unless you have clearly indicated on the forms that these are to be gifts. In this case they will be left in the main office for a parent to pick up. 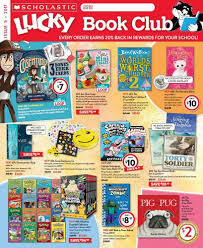 Only Lucky Book Club Issue 1, 3, 5 and 7 will be available through the school this year.